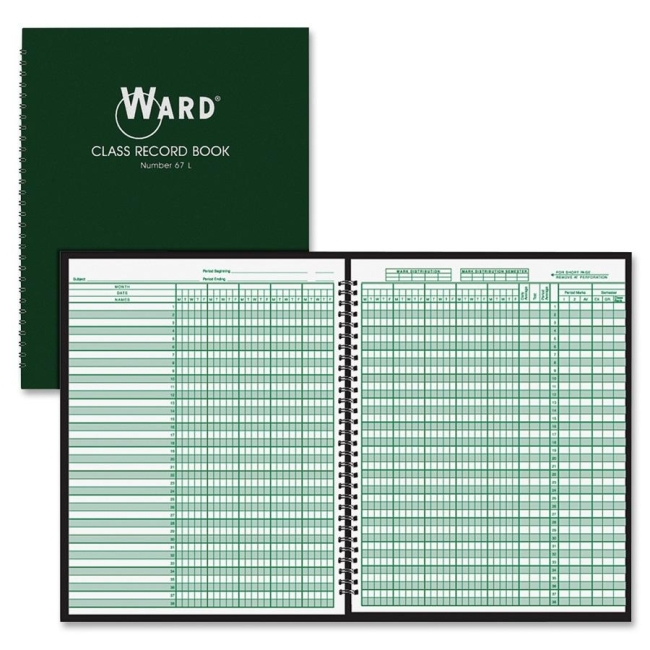 Class record book helps you track up to 38 students during a six-week grading period. Grading sheets cover 36 to 40 weeks of school and 16 classes per year. Letter-size pages are printed in green ink on quality white paper and bound in a durable, deep green cover with semi-concealed wire binding. 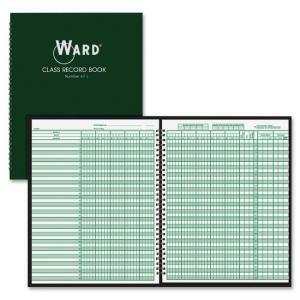 Class record book also includes memorandum sheets and seating charts.